I may not be a child anymore, but I am willing to cut one off to get a better spot in line for a midnight release of one of the books or a prime seat at the midnight showing of “Harry Potter and the Half-Blood Prince” when it’s released. As discussed numerous times my love for Potter started when I was in college . Bored on a summer day i finally decided to give the first book it’s due-diligence… and the rest is history. As the years passed and new potter books were published and new potter movies were released I would re-read the old books. I would wait in line at midnight at bookstares and head out, coffee in hand, for movie premieres. 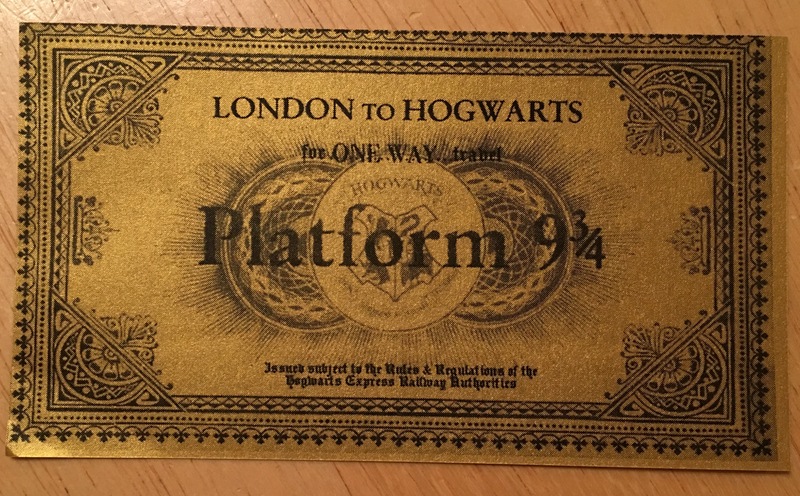 It’s no surprise that, to this day, I still check my mailbox hoping that my Hogwarts letter will be there… stuck between my mortgage bill, sports illustrated and the numerous credit card applications. 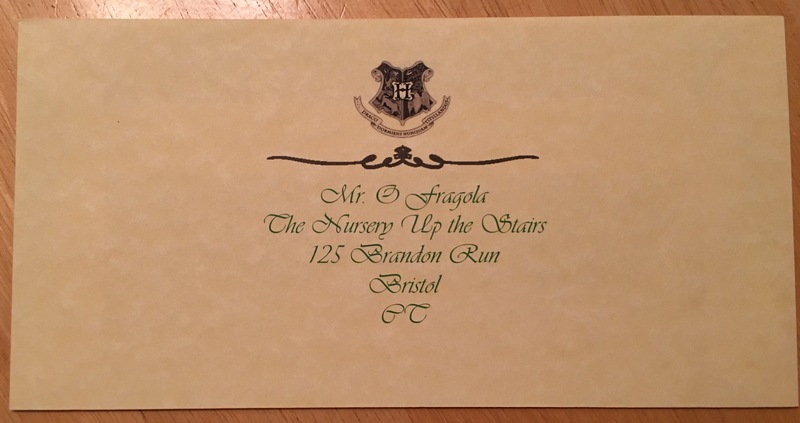 Luckily, for the second person in this house… their Hogwarts letter arrived. 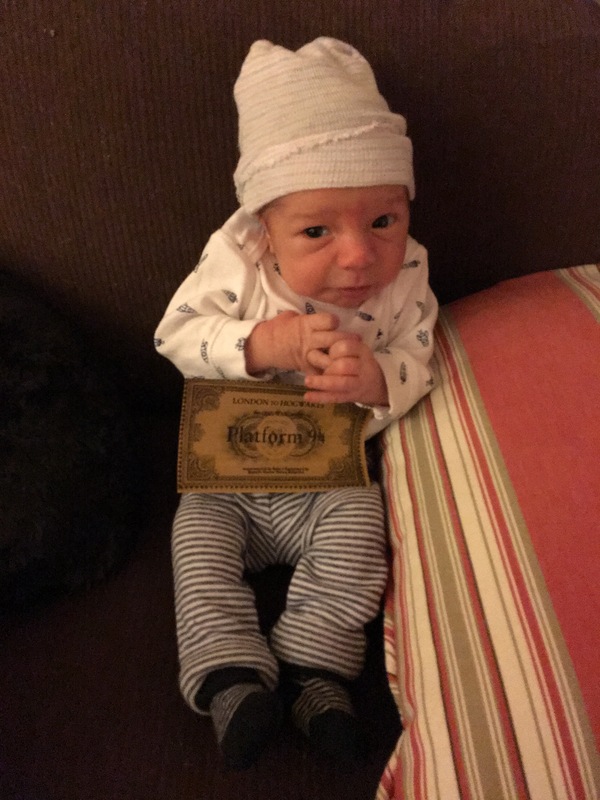 His Hogwarts Express ticket is in hand and he’s ready to board that steam-train and become a famous quidditch player… I guess I’ll have to live vicariously through him. 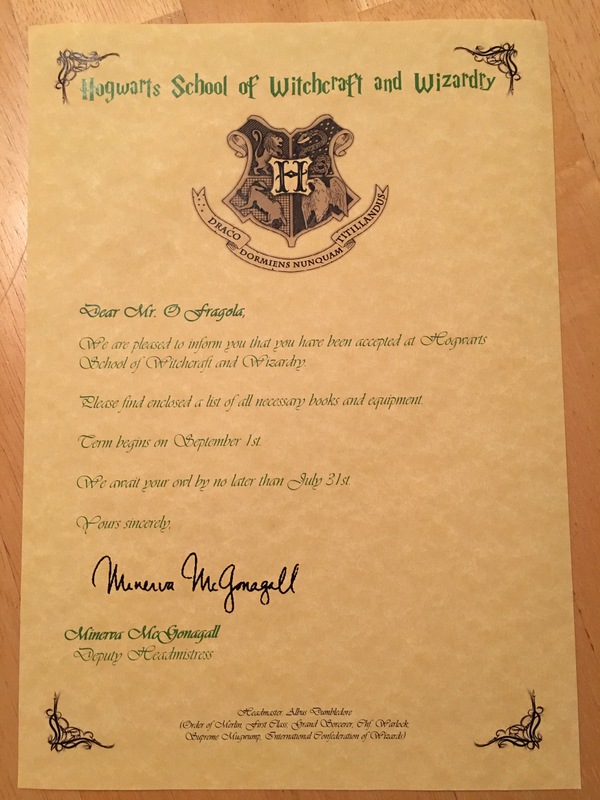 …that is… until my Hogwarts acceptance letter arrives too. This entry was posted in Uncategorized and tagged Harry Potter, Hogwarts, hogwarts express, platform 9 3/4. Bookmark the permalink.